Chances are you or someone you know has made the claim that they love rosé, but hate White Zinfandel. This isn’t surprising at all because White Zinfandel has a pretty terrible rap, no thanks to how it’s been made and marketed for years. But making a claim like that isn’t actually accurate, because White Zinfandel is a rosé, just a sweet version of one, so saying you hate one but love the other is like saying you love baguettes but hate bread. We know that might have sent your wine world spinning, so let us explain. Dry rosés, particularly those from France, that are light in color and all the rage during the warmer months of the year, are made using red grapes by allowing the skins of those grapes to only sit with the pressed juice for a very short while, thereby imparting a pink color instead of a red one. The juice fully ferments, it’s allowed to sit in steel tanks and voila, you have dry rosé. This is the stuff that’s made a comeback across the country over the years and is the wine we’ve come to know as love as rosé. The thing is, White Zinfandel is made the exact same way, it’s just that the way it came into being was a happy accident. During the 1970s in California, Bob Trinchero and the rest of the team at Sutter Home were trying to create a deeper, more intense Zinfandel. In order to achieve their desired result, they decided to skim off over 500 gallons of the liquid that had only been soaking with the skins for a few short days since the grapes had been pressed. Their thinking was that if they removed some of the liquid, the ratio of more skins to less remaining liquid would create the intense red Zinfandel they were looking for, much like using two tea bags instead of one brews a stronger cup. The issue then became, what the heck to do with the juice they had skimmed off. That juice had become a rosé, it had a pink color and was very dry, so they decided to bottle it at sell it to the public, but fearing consumers wouldn’t respond to the name rose, they called it White Zinfandel instead. The White Zinfandel sold well for the first few years Sutter Home made it, but it didn’t truly become a phenomenon until another accident turned the wine into the sweet liquid we now know it as. In 1975, while Sutter Home was making their White Zinfandel, they experienced a Stuck Fermentation, which basically means the yeast all die before they’re through converting all the sugar to alcohol. The result was a wine that was boozy to be sure, but still had some sugar left behind, making it sweet. The wine was a massive success, no doubt driven by its drinkability and cheap price tag, and Sutter Home became the champion of the movement, creating the cheap, sweet wine in massive quantities. Unfortunately, the cheap price along with the wine’s sweetness ultimately became White Zinfandels undoing. As more people became wine drinkers, they were exposed to well-made dry rosés from places like France, wines that were refreshing, crisp and perfect with food and the sweet pink wine would no longer do. But White Zinfandel is currently making a comeback, though not led by the folks at Sutter Home, who are still making the wine the same way they have for decades. 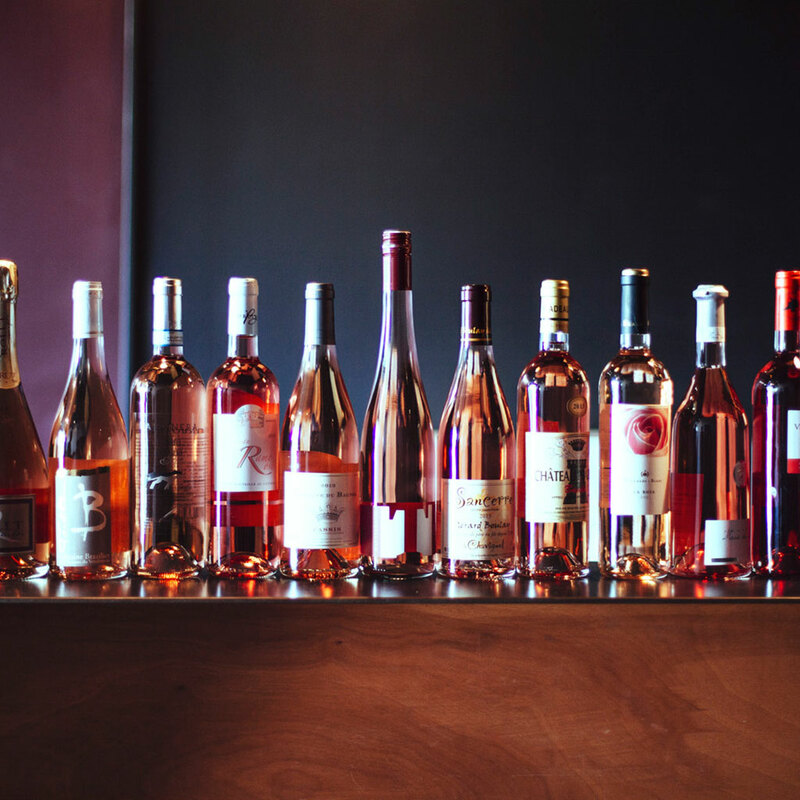 Instead, young winemakers in California are playing with America’s new-found love for rosé and aversion to White Zinfandel by creating dry rosés from the Zinfandel grape and calling them, of course, White Zin. So the next time you think you love rosé but hate White Zinfandel or vice versa, remember it’s the style of the wine you don’t like, either dry or sweet, because in terms of how they’re made, they are the exact same thing.